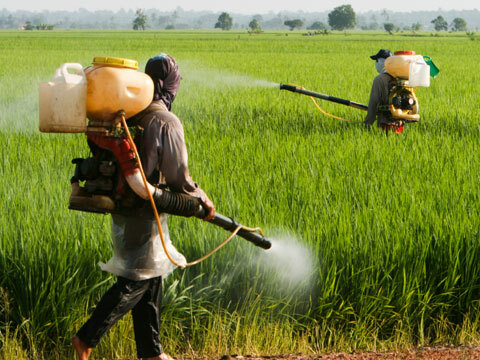 Chemical Lice Treatments Often use the Same Chemicals Found in Commercial Pesticides. 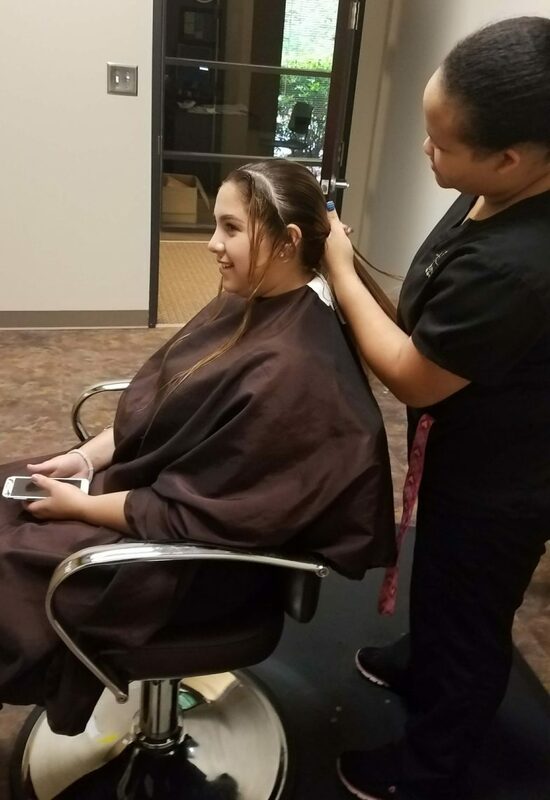 At Head Hunters, we provide an all-natural treatment option as opposed to the more common methods of treating head lice that involve the use of harmful chemicals. Just how dangerous are these chemicals? We have researched the active ingredients in both prescription and over the counter lice treatments and found startling results. The results are especially disturbing when we know that many parents often leave these chemicals on the hair for longer than recommended or use several of these treatments in a desperate effort to eliminate a lice infestation. Permethrin: This chemical is found in many of the head lice treatment kits that are found at a drug store or grocery store as well as lice sprays marketed for use on furniture and bedding. Permethrin kills lice by affecting the nervous system, causing muscle spasms, paralysis, and then death. The bottle itself has many urgent warnings on it including that if inhaled the spray could cause a person to stop breathing. Although sprays with this ingredient suggest that you to spray them all over the bedding and home, the bottle warns that if the spray comes in contact with clothing or skin that the clothing should be removed immediately and the skin should be rinsed for 15 minutes. Side effects of permethrin include skin irritation and burning. 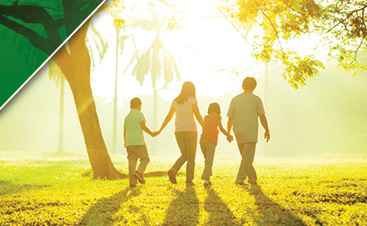 Excessive exposure can cause nausea, headache, muscle weakness, shortness of breath and seizures. Permethrin is classified by the EPA as a likely carcinogen. It is highly toxic to aquatic organisms and should not be disposed of in bodies of water. Permethrin is also toxic to cats as many cats have died after being treated with flea treatments that contained the chemical. 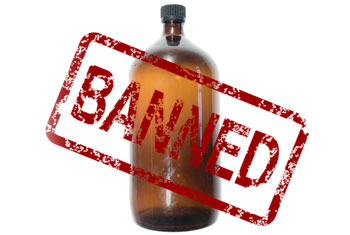 Lindane is so Dangerous it is Banned in 52 Countries and its use in Agriculture was Completely Banned in the US in 2007.
method and the use of Lindane is banned in 52 countries. Prescribed as a 2nd line of treatment when other treatments have failed, Lindane is a neurotoxin that can be absorbed through the skin and poses a serious risk to health. Lindane affects the nervous system, liver and kidneys. In the United States, Lindane is banned from agricultural use yet is still permitted to be used on the heads of children as a lice treatment. Side effects of Lindane include a burning sensation, itching, dryness and rash. Serious side effects include seizures and even death. They are more likely to occur when the treatment is used incorrectly. These serious side effects usually occurred when too much Lindane was used, it was used too often or left on the head for too long. The pharmaceutical company that produces Lindane Shampoo was sent a letter by the FDA requesting that they correct “misleading” information on their Lindane websites. They fail to include any of the harmful effects of Lindane and overstate the effectiveness of the shampoo. Carylderm/Carbaryl: A less commonly used lice treatment, the EPA categorizes carbaryl as a moderately hazardous pesticide and has been shown to have mutagenic effects. When studied on rats, Carbaryl was shown to affect cell division and growth. It is thought that this same effect could occur in the human stomach if the chemical is ingested. The EPA lists carbaryl as a suspected carcinogen, endocrine disruptor, reproductive toxicant and developmental toxicant. Prolonged exposure has caused lasting headaches, memory loss and muscle weakness. 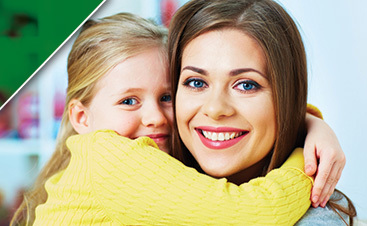 Professional Lice Removal is a Safe and Effective way to Treat Lice with no Side Effects. ee burns. It is also flammable and should not be used near an open flame or hair dryer. Stromectal: A pill used to treat a highly resistant lice infestation. This treatment option had some of the fewest negative effects, but in the original effectiveness study two children were hospitalized as a result if using the drug. Stromectal contains the same ingredient (ivermectin) used to treat heart worms in dogs and kills small parasites. Side effects include headache, dizziness, muscle pain, nausea and diarrhea. Rare side effects include neck/back pain, swelling of limbs, fast heartbeat, seizures and loss of consciousness. While researching these treatment methods, we found that many sources stated, “The benefit is greater than the risk of side effects”. Why not just have the benefit with no risk of side effects? Effective lice treatment IS possible without the possibility of harmful side effects. Manual lice removal with a lice comb is the #1 choice of treatment by Lice Treatment Professionals. Head Hunters has completed over 25,000 successful lice treatments without the use of harmful chemicals, and we often treat clients who have tried these chemical methods with no success. The key to successful lice treatment will always be using a professional louse comb and having a good combing technique.